D.D. Palmer was a “magnetic Healer” in Iowa. Harvey Lilard mentioned to D.D. Palmer that years before, while lifting a heavy weight, he felt something “snap” at the base of his neck. It was several weeks later that his hearing started to fade. After feeling and examining (What we now call palpation) Harvey Lilard’s thoracic spine and noticing a misalignment D.D. Palmer pushed the joint back into position. He formed the argument that it was not the “seed” (or germ) which was the cause, but that the “soil” (our body) was functioning abnormally. D.D. Palmer asked a patient and friend, Rev. 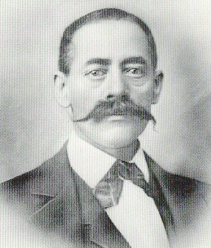 Samuel Weed, to help him name his discovery. In 1896 D.D. Palmer began teaching at what would become the Palmer School of Chiropractic (PSC, now Palmer College of Chiropractic.) Of the first graduates of his school, his son B.J. Palmer went on to develop the Chiropractic Technique. D.D. Palmer’s student and son, B.J. Palmer, assumed control of the Palmer School in 1906, and promoted professionalism and formal training in chiropractic, expanding enrollment to a peak of above 1,000 students in the early 1920s.The next 15 years saw the opening of 30 more chiropractic schools. Each school attempted to develop its own identity, while B.J. Palmer continued to develop the philosophy behind his father’s discovery. Since 1895 Chiropractic has been a topic of controversy. Thankfully we now have clear evidence that Chiropractic is both safe and effective. Across 120 years new techniques have formed and as new understanding of the body is discovered Chiropractors have endeavored to promote good health practices in conjunction with Chiropractic to prevent dis-ease, pain and maintain good spinal alignment.